INDIANAPOLIS, Indiana (May 28, 2018) - And just like that, the blur that race fans around the world relish on each Memorial Day weekend is now in the rearview mirror after an incredible three days of competition. With blue-ribbon events in Formula 1, NASCAR, IndyCar, World Challenge, and Pro Mazda competition, the racing world delivered a huge final weekend in May. While the races were set on different tracks, with different cars and regulations, one common denominator ruled the weekend-AERO Sustainable Paint Technology. The pursuit of speed and performance saw teams and drivers up their game no matter what they were racing. That focus on speed is celebrated by some 300,000 fans every year at the Indianapolis Motor Speedway, and several Verizon IndyCar teams put the AERO™ advantage to good use. Several of the teams that earned new trophy hardware were among the growing list of organizations that have turned to AERO Sustainable Paint Technology. AERO™ is an incredibly strong sustainable paint solution for competition machinery, providing an unmatched visual aesthetic as well as significant environmental benefits from being PVC-free and nearly VOC-free. Ed Carpenter was so eager to take pole that he clocked the only 230 mile an hour lap of the speedway set this year. He didn’t relent in the race, either, leading a race-high 65 laps and scoring his best-ever result with a run to second place after 500 miles. His ECR teammate Spencer Pigot also led the race in the No. 21 Preferred Freezer Services Chevrolet, while its GoDaddy-sponsored teammate Danica Patrick had an unfortunate early end to her race with a crash. A fellow AERO™ driver Tony Kanaan was well on his way to overcoming a cut tire on his AJ Foyt Racing entry when his race ended just laps before the checkered flag. Graham Rahal’s Turns for Troops/United Rentals Dallara-Honda also made a big cut through the field, as the American pilot raced from deep in the pack to take tenth at the finish. It was also a case of “what might have been” for his RLL/Scuderia Corsa teammate Oriol Servia, who led until the closing laps of the race only to have to make a dash to the pits for fuel. 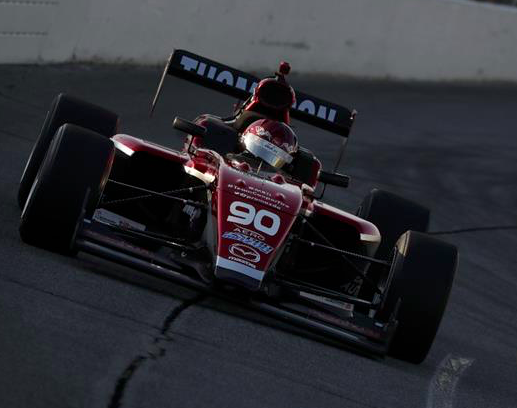 Before the Indianapolis 500 kicked off, it was an updated version of the “Night Before the 500” at Lucas Oil Raceway as Parker Thompson and the Exclusive Autosport team continued their run of success in Pro Mazda Championship presented by Cooper Tires. After 90 laps on the ultra-fast oval, Thompson added to his championship advantage with a victory on the 0.686-mile Lucas Oil Raceway. Thompson’s Exclusive Autosport squad utilizes AERO on all the team machines as it contests multiple levels of the Mazda Road To Indy. Lime Rock Park also played host to Pirelli World Challenge to extend the Connecticut track’s Memorial Day weekend legacy. 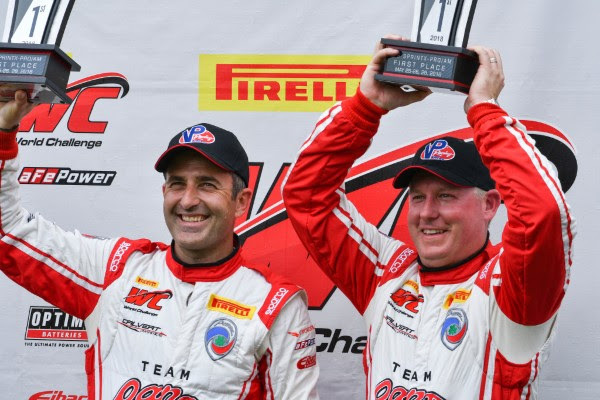 Ian James teamed with Matt Keegan for the Pro/Am victory in the Team Panoz Avezzano GT4, which utilizes AERO™. “In my run, I was coming up on some lapped traffic and that can be a big problem at a smaller, tight track like Lime Rock,” said Keegan. “That is a big trick here on how to manage the traffic. There are special spots at this track which the Panoz works very well and we try to maximize those locations. We wanted to pick our spots to pass and there are places here that can be high-risk. We didn’t want to get in those positions and it paid off for a win today!"